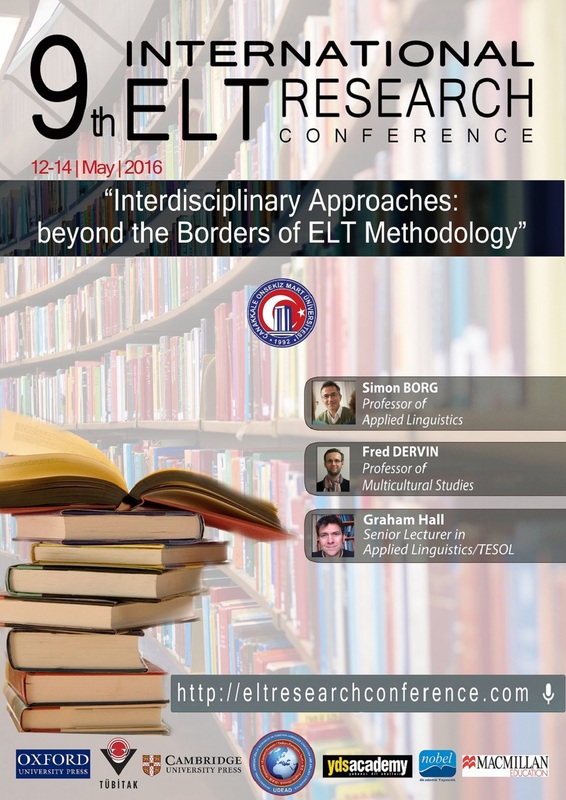 This book is an outcome of the 9th ELT Research Conference organised by Çanakkale Onsekiz Mart University. The papers in this volume illustrate some of the key research interests and priorities for English language teaching in Turkey and provide significant insights into a range of contemporary issues and practices in the field. The papers present research focusing on issues in the areas of technology, learners, teacher training and post-graduate education, which have been gathered together in four sections, each section containing articles covering several different aspects of the topic in question. Click for the book edited by Dinçay Koksal, PhD, and published by Peter Lang Publishing House, which the outcome of the 2016 International ELT Research Conference. On behalf of the Conference organizing committee, we would like to thank each of you for your participation and attendance to our 2016 event. We were immensely happy to have you all here last week and we hope you found the conference informative and worthwhile. We would like to thank each of you again for your participation and contributions. Our special thanks also goes to our keynote speakers, workshop presenters, co-organizers, sponsors and our students who contributed the grants and their efforts to us during the conference. A special thanks also goes to Mr. Graham Hall, the Editor of ELT Journal, for accepting our invitation to be one of the editors of the conference book to be published by Peter Lang Publishing Group. We much appreciate his interest and support. See you in 2018 ELT Research Conference.